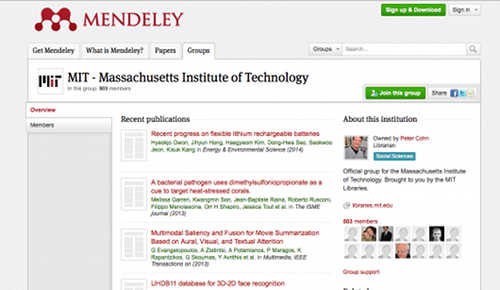 MIT announced that it is now offering enhanced Mendeley access for all its users. They purchased the Mendeley Institutional Edition (MIE) which gives all users at a subscribing institution 5GB of personal space in Mendeley (as opposed to the usual 2GB that all users get with a free account) and 20GB of shared space (where the free allowance is 100 MB). One of the main advantages of this enhanced package, however, are the greater collaboration features, which allow you to create an unlimited number of shared groups with up to 25 members each. We hope that this will help MIT users to manage their research workflow much more easily, annotating and sharing PDFs as well as creating citations and bibliographies and collaborating with their colleagues with the many tools that Mendeley offers. To take advantage of the enhanced features MIE eligible users (with a valid MIT email address) need to join the MIT group and then either create a new Mendeley account or connect their existing one to the group. There were already nearly 2.5 thousand Mendeley users at MIT, and since launching the Institutional Edition at MIT in mid-January, almost 500 have already signed up to the MIE group. For more information see the Mendeley at MIT research guide, and if you’re an MIE user let us know what you think of it, any suggestions are welcome as usual! Today we’re announcing a preview of the next release of Mendeley Desktop, which adds an experimental feature to help you explore papers and find relevant information in them more quickly. This improved reading experience is initially available for Open Access papers, but we’re hoping to expand it to additional content in future. We automatically analyze the hierarchical structure of papers, identify the main headings and present them in the ‘Contents‘ tab. From the ‘My Library’ tab, you can browse supported papers and jump directly to the section of the document you are interested in. We attempt to identify tables and figures that appear in the paper and list them in the ‘Summary‘ tab. 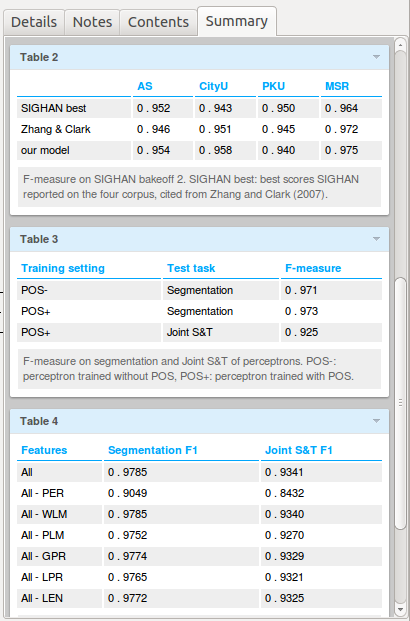 You can then select a table or figure to jump directly to the relevant section of the paper. Tables in the paper are located, the data is extracted from them, and the results presented in a normalised style for easier reading. You can also export the data by clicking the drop-down arrow in the header for the table and selecting ‘Copy as HTML‘. 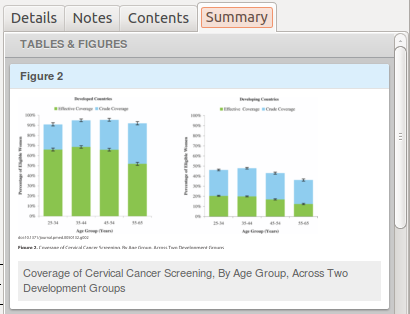 From there you can paste the data into a spreadsheet such as Excel for quick analysis or visualization. Go to the ‘Literature Search’ pane in Mendeley Desktop, click the magnifying glass icon in the search box and select ‘Open Access’ to limit your search to open access papers. Browse the results. When you select a paper, if we’ve automatically extracted an outline, tables and figures then they will appear in the ‘Contents’ and ‘Summary’ tabs in the right-hand pane. This is a new and experimental feature which we’re making available for early feedback. We know that we have plenty of work to do to expand coverage to more papers and improve the recall and accuracy of extraction, especially for tables with more complex layouts. The research that enabled this feature was developed as part of the EU-funded CODE project, with partners at the University of Passau and the Know-Center in Graz. Would you like to help us make the lives of researchers easier? Interested in developing algorithms for data extraction, working with a library of the world’s research or creating beautiful apps for scientists? We’re looking for a data scientist to help us extract information from papers and engineers to help bring the fruits of their work to users on desktops , mobile devices and the web. If you’d like to be involved – please get in touch! For examples of the R&D work we’ve been doing internally and with univeristies, see the Mendeley profiles of Roman and Kris. Export directly from Scopus and Science Direct! You know that nice feeling you get when things just work? Well, here at Mendeley we love coming up with ways to make that happen for researchers everywhere, and building features that save them time is usually a good way to go about it. As a PhD student myself, I know that one of the biggest time drains when doing your research can be the process of finding, processing and organizing your relevant citations and papers. 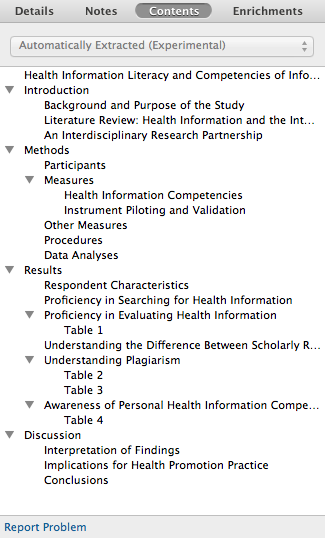 Having to download each one individually before adding them to Mendeley was a big frustration when doing my literature review, and many academics in our community shared similar experiences. 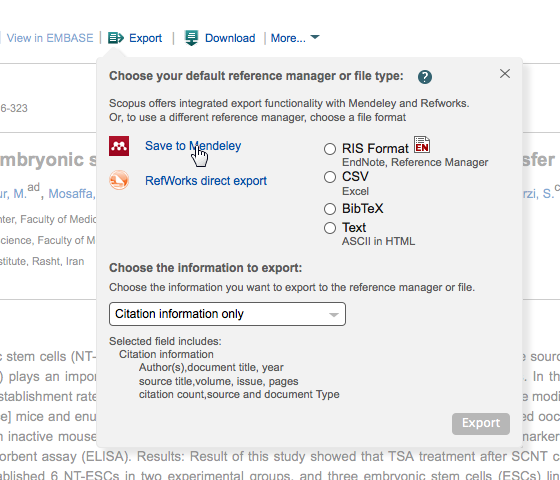 That’s why the Mendeley team put a lot of work in building an improved Web Importer that was released last June and then integrating it with Science Direct and Scopus (as well as most other sites!) to make the process of putting those papers and references in your Mendeley library as smooth and painless as possible, just as it should be. 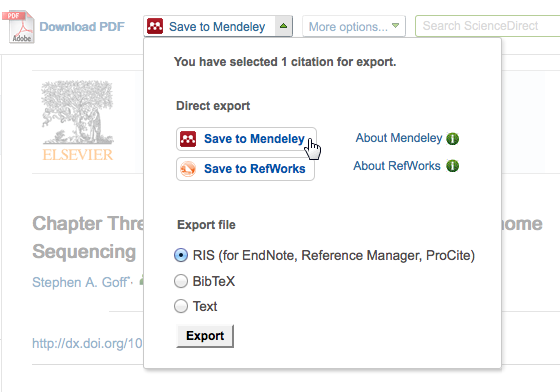 To give Mendeley users even more options though, we’ve also worked with Elsevier to build the “Export to Mendeley” functionalities right into the Scopus and Science Direct platforms, which means that you don’t even have to install the web importer to send articles and citations to Mendeley, and you can also choose which folder in your library they should go into. The fact that this is all done without you having to navigate away from your search results or article pages will hopefully speed up the research workflow for our users, and help them spend more time reading and writing papers rather than wrestling with them. Please let us know how this new feature works for you, and leave any suggestions in the comments below! hand-in-hand with cutting-edge research to seek answers, develop new therapies and treatments, and ultimately work toward a cure. Our result was the Parkinson’s Institute and Clinical Center. Two months ago, the Parkinson’s Institute launched our very first crowdfunding campaign on Indiegogo with Silicon Valley venture capitalist Bill Draper and his family. Bill’s wife Phyllis is living with Parkinson’s disease. We are always looking for new and creative ways to attract funding and further diversify our development portfolio. Caring for people with Parkinson’s does not fit neatly into today’s healthcare economics. It takes much more than an assembly line approach and 15-minute consultation to provide appropriate and impactful care. Philanthropy ensures that when it comes to care—no sacrifice is made and no corner is cut. Government and foundation research grants only cover a modest portion of the expenses associated with our Institute’s remarkable science. 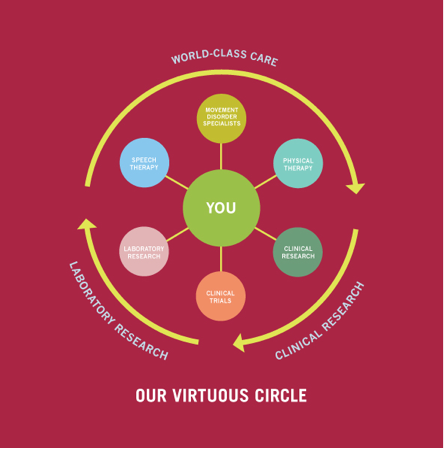 Philanthropy drives the pace at which our Laboratory and Clinical Researchers are able to pursue their work. Crowdfunding both intrigues and excites us. Our Indiegogo campaign has allowed us to amplify donor investments, connect with and engage new supporters, and explore an innovative and cutting-edge vehicle for philanthropy, community building, and learning. We know that when a loved one is living with Parkinson’s, the entire family is living with the disease. So for this very special campaign, we asked Bill Draper and his family to share their story with the world. We launched our Indiegogo campaign on #GivingTuesday with a $100,000 dollar-for-dollar match from The Draper Foundation. In less than 4 days we raised over $200,000. Our early campaign success inspired a second matching fund from Parkinson’s Institute Board Member Peter Nosler and his wife Julie Veitch. We’ve now raised over half a million dollars—Indiegogo’s Most Funded Health Campaign to-date. In addition to Bill’s story and video, our campaign has featured his son Tim Draper, fellow venture capitalist, and founder of Draper University and the BizWorld Foundation; daughter Polly Draper, actress, writer, producer, and director; and granddaughter Jesse Draper, actress, and creator and host of The Valley Girl Show. Campaign perks include Photo Prints from the Schuele Lab (Dr. Birgitt Schuele is our Program Director of Gene Discovery and Stem Cell Modeling), Virtual Research Updates with our best and brightest minds in science, and an Espresso and History Lesson with Dr. Bill Langston, Parkinson’s Institute Founder and CEO (Dr. Langston gained national and international recognition in the 1980s for the discovery of the link between a tainted “synthetic heroin” and Parkinsonism—MPTP). 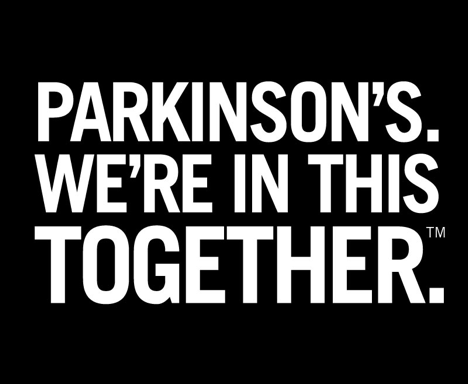 Parkinson’s Institute and Clinical Center is America’s only independent non-profit organization combining world-class care, Clinical Research, and Laboratory Research for Parkinson’s disease under one roof. By virtue of our design, we are uniquely equipped to provide the best care, accelerate promising science, and perhaps most important—integrate the two and everything in between. It’s what we now call Our Virtuous Circle and people living with Parkinson’s disease and their loved ones are at the center of all that we do. Learn more by visiting ThePI.org. If you’d like to support this campaign, you can visit and share their page on Indiegogo. We’d also love to hear about your own experiences of crowdfunding your research, so either leave a comment below or join the discussion on our Crowdfunding group on Mendeley.